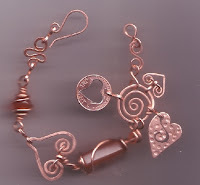 Learn to create these simple wire hearts and you can use them as charms in bracelets, necklaces, and earrings. 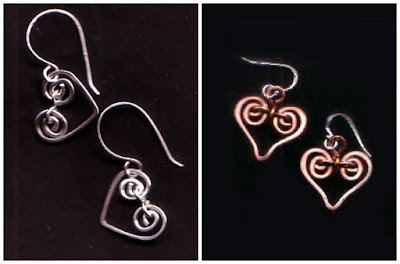 You need only basic tools: pliers, cutters, and round-nosed pliers to transform wire into a pair of whimsical hearts for simple earrings or charms for all of your jewelry pieces. 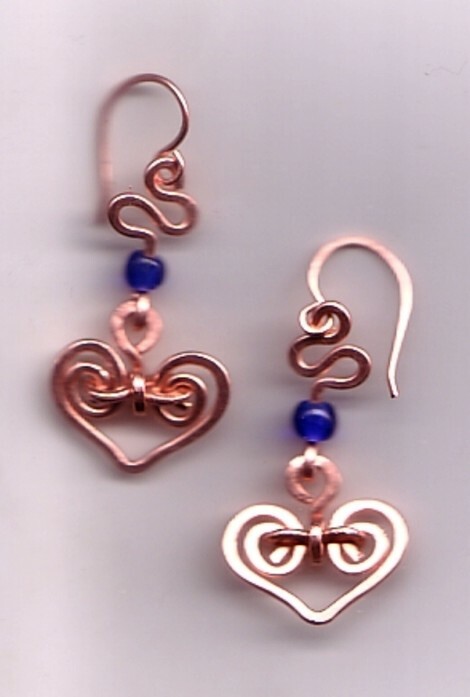 2- 4 inch 18 gauge pieces for the heart shape. 1. Form four figure 8s from the 4 smaller pieces of wire. Using a pair of round-nosed pliers with a smooth, rotating wrist motion, grasp the tip of one end and turn a loop. Form a second loop in the opposite direction at the other end. The pieces should look like number eights (8). Hammer the figure 8s to retain their shape. Use a felt tip pen to mark your 4-inch wire pieces at the half point. Fold the wire into a V at this point. 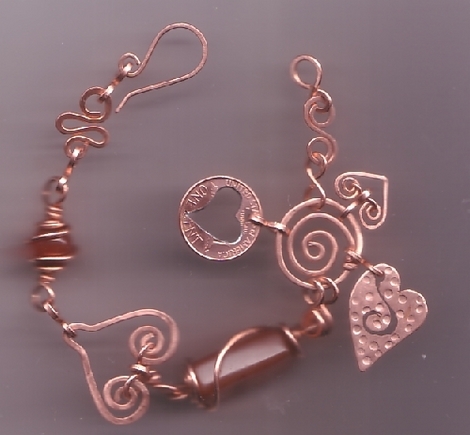 Make a loop at the top of each end of your V.
Continue coiling each loop, loosely, until you've created a heart shape. Coil with either a pair of flat pliers or insert your round nosed pliers into the loop you've created and use a rolling wrist motion to create the coil. Use flat pliers to taper the bottom slightly. Use your fingers to rearrange the coil pattern to make it even. 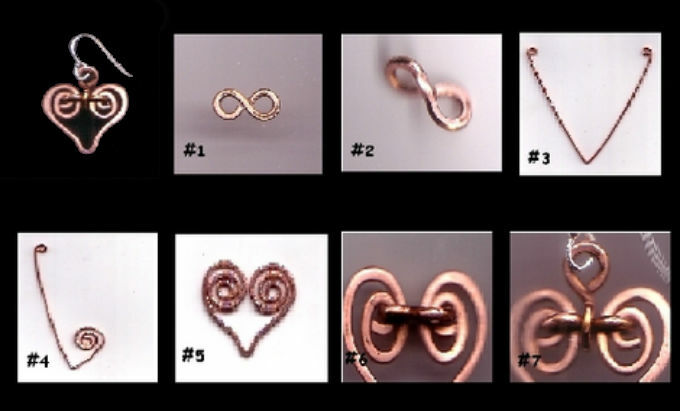 Open up one side of a figure 8, loop it through one side of the heart, then close it. Open one side of your bent figure eight and loop it through the middle of your heart. 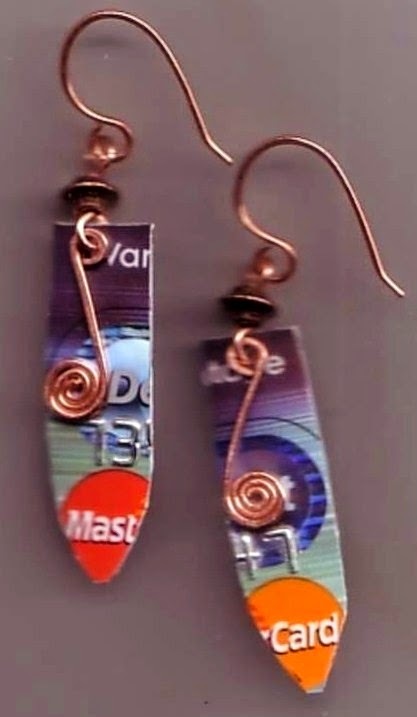 Dangle your earrings from the ear-wires of your choice. 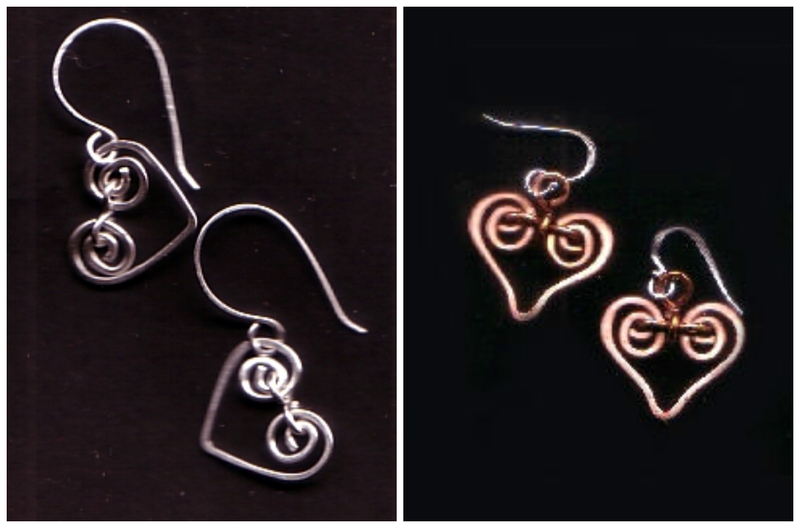 Make simple hearts to use as charms or earring components. And most of all, have fun! 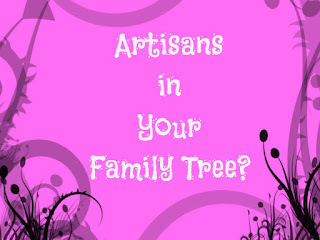 Also included as a chapter in The Nice Lady's book "Wire Jewelry - Make it Funky"